Are you ready to spend some time at Walt Disney World? 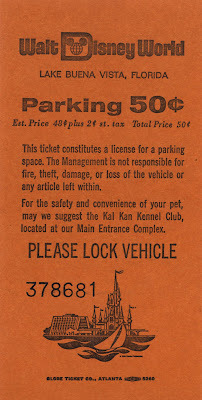 Let's park the car first. 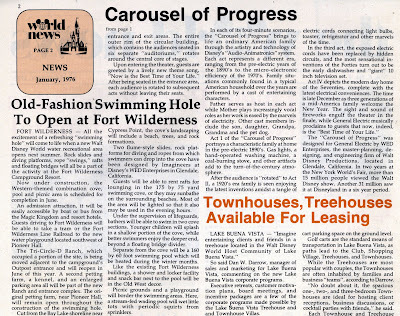 January 2, 1976 - could it really be 35 years ago? 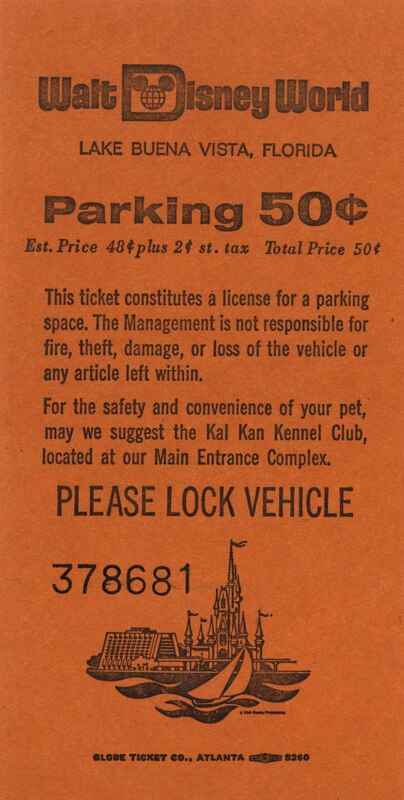 Here's your handy parking lot flyer detailing your ticket choices. 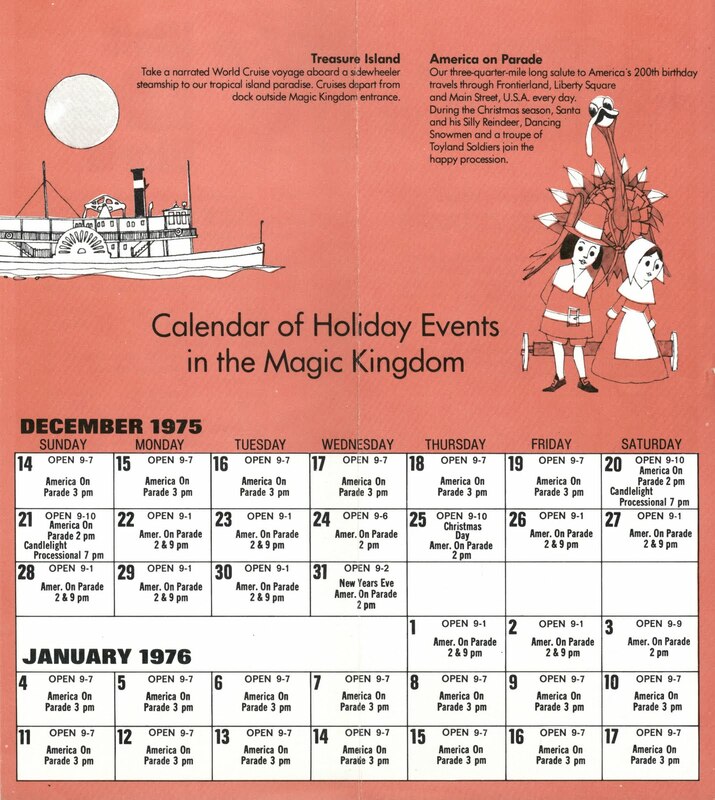 Your calendar of holiday events in the Magic Kingdom. 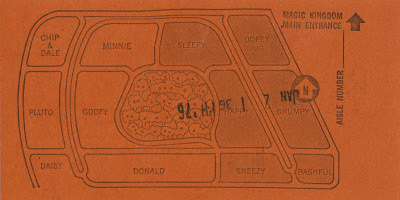 If you're lucky your travel agent or hotel provided you with some of these Courtesy Guest ticket books, good for any 5 adventures in the Magic Kingdom. 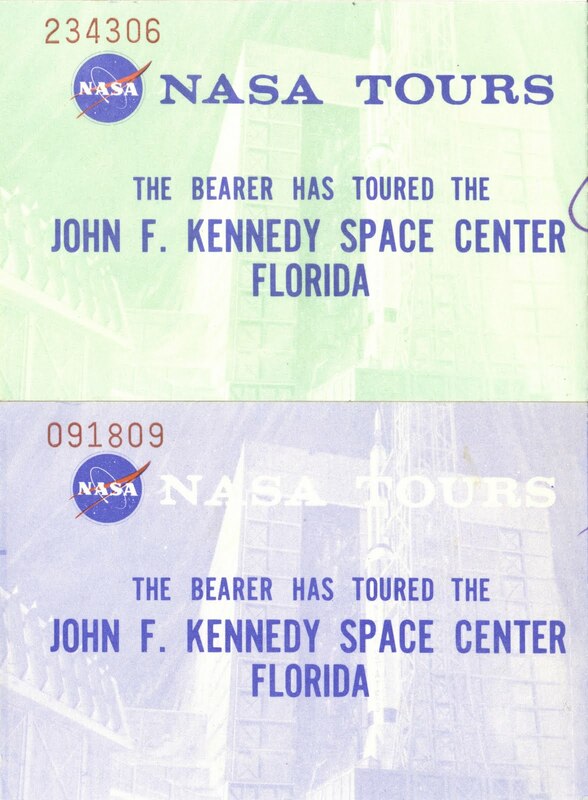 While these tickets are good for any attraction, they do look a little drab, sort of like a 1975 AMC product. 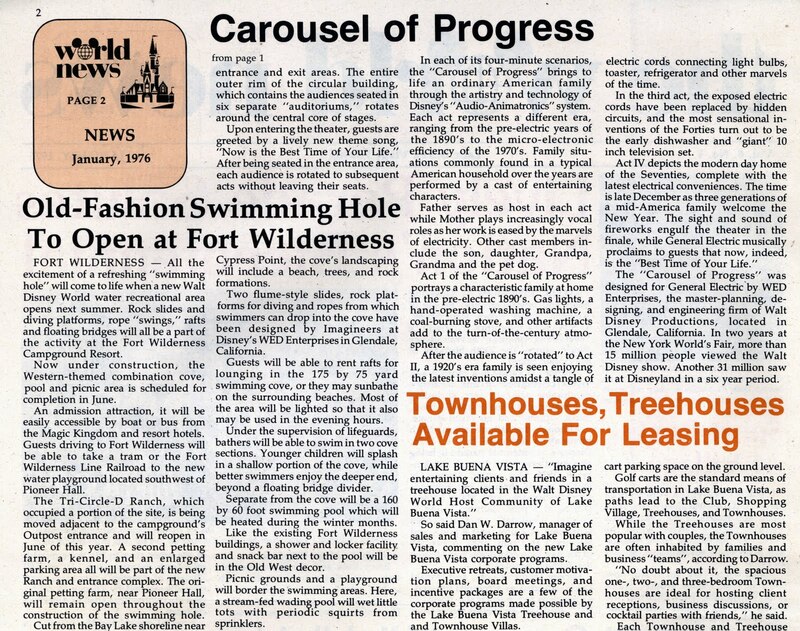 Now a few pages from the January 1976 edition of "The World News". 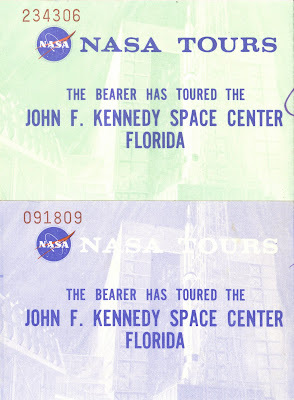 And lastly if you've got some spare time on your Florida trip be sure and check out NASA! I've never seen an issue of "The World News" before, do you have any others? Very interesting. 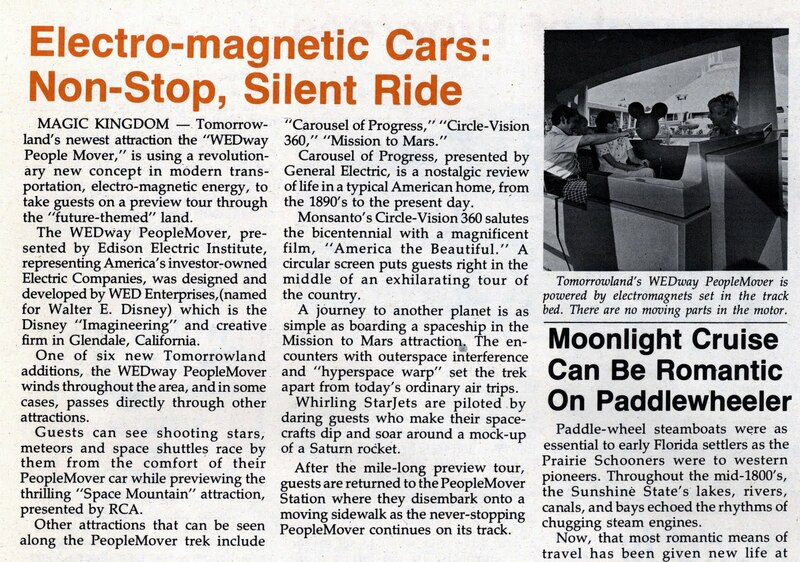 Love the articles about he Carousel of Progress and the WEDway Peoplemover, and the "Future City To Be Built"! 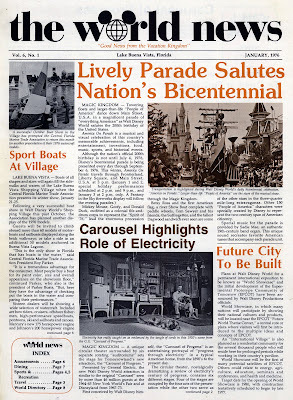 From the parade description and the daily schedule, it looks like instead of a separate Christmas parade, some Christmas units were just added to "America On Parade." 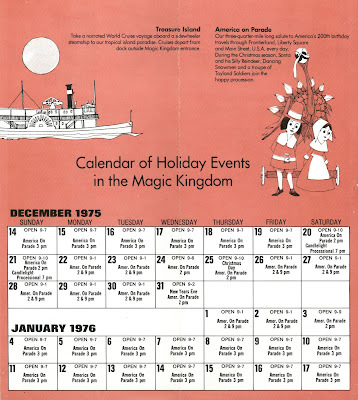 I wonder if the same thing was done at Disneyland for the 1976 Xmas season? 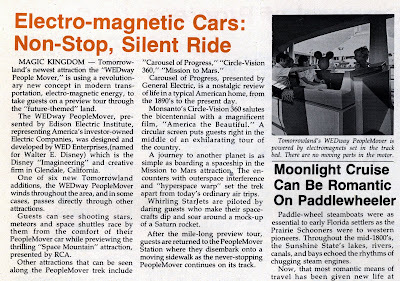 I didn't know that the PeopleMover at the Magic Kingdom was electro-magnetically powered as opposed to having all of those always-spinning Goodyear tires built into the roadway..? 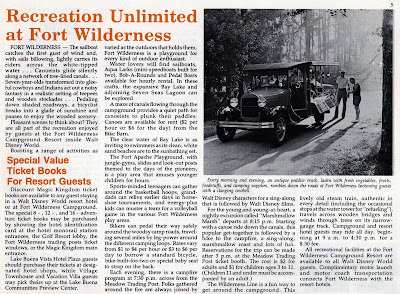 Also interesting that the Railroad only stops on Main Street and in Frontierland.